One bottle of "Greef" could feed a family of eight! Now all the "health" potions look the same, all "mana" potions look the same etc. 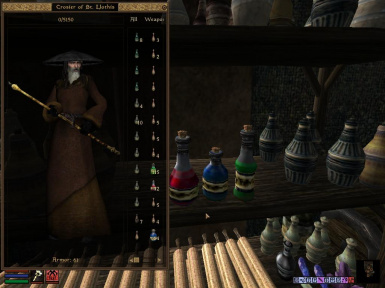 From what I can see all the quality potions use the same bottle and all the standard use the same...and so on. Maybe I'll just change all the ICONS, that seems the only route, since the problem arises in the inventory mostly.